What's affecting your Vitamin C absorption? 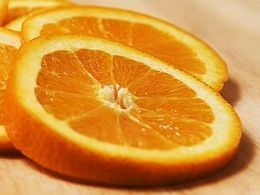 Home » Healthy Eating » What’s affecting your Vitamin C Absorption? Vitamin C has many important functions and you really have to make sure that you get enough of this vitamin.Vitamin C helps boosting your immune system. It is also important for skin, bone and connective tissue. Pregnant women need a lot of Vitamin C because it protects Folic Acid that is important for cell growth. Vitamin C also controls Iron, an essential mineral especially for women and older people. With all these important functions, you should know that there are factors that can affect how much of this important vitamin your body really gets. Let’s find out how you can optimize your Vitamin C absorption. First of all, Vitamin C is water-soluble and can not be stored in the body. This is why it is so important to make sure that you get enough of these vitamins through your diet every day. Drinks and food containing caffeine such as coffee, tea, cola drinks and chocolate can inhibit the absorption of vitamin C. Vitamin C is water-soluble and can be removed through your urine. Since too much caffeine consumption may cause a frequent urination it can cause your body to become depleted of Vitamin C.
Certain medications, like Aspirin, Antibiotics, and Birth Control Pills, can reduce the amount of Vitamin C in your body. If you are using these medications, make sure to add extra Vitamin C into your diet through vegetables and fruits. The more you smoke, the more Vitamin C you need. Studies show that people who smoke 20 cigarettes a day have 40% less Vitamin C in their blood than non-smokers. But remember that your body needs even more Vitamin C to counteract the damage that smoking causes to your cells. If you are smoking, make sure you eat a lot of vegetables and fruits. You might even consider Vitamin C supplements to make sure you are getting enough of Vitamin C.
Prolonged stress also depletes Vitamin C and this is why you should take extra Vitamin C during periods of stress. In fact a recent study, made by Dr. Stuart Brody from the University of Trier in Germany, showed that the stress indicators (both physical and mental signs) as well as the recovery from stress, were consistently lower in people with high levels of Vitamin C.
You should be aware that Vitamin C in fruits and vegetables can be destroyed, depending on how you prepare your food. If you heat your fruits and vegetables, or store them in water for a longer period of time, or expose them to light, Vitamin C will be destroyed. Here is a great Vitamin C informational video.